On the estate of Thonmi z.s. 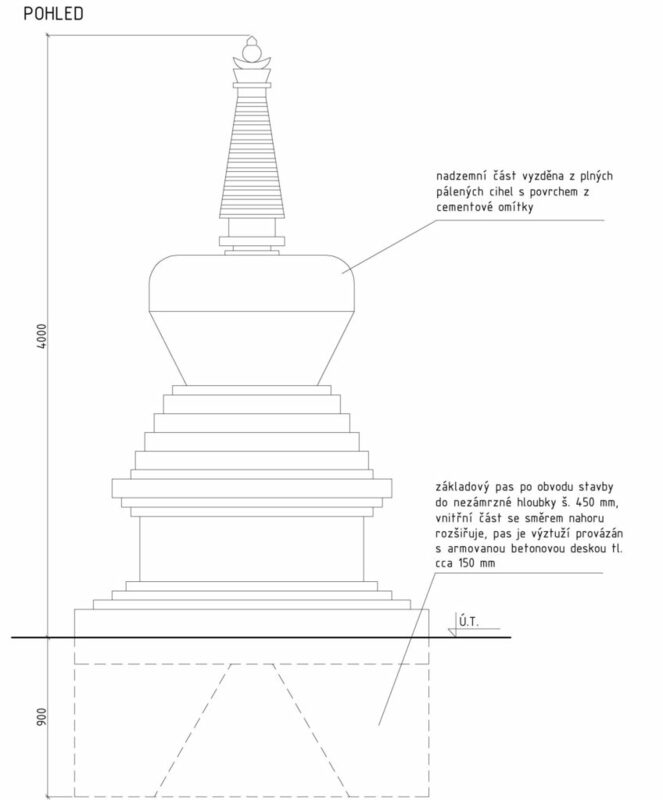 a Tibetan stupa will be constructed. Stupas belong to everyday life in Tibetan and other areas of Central Asia. They are not only a symbol of Buddhism, they also depict the order of the universe. Construction of the lower part has already started in October 2016. Now we invite Thonmi supporters and others who are interested in finding out more about the history of stupa structures in Central Asia, or just wanting to put their hand to work with us on the Thonmi area in Velký Šenov. Apart from your workforce, you can also contribute financially to the construction of the stupa.